A floating hospital! Yes it’s true, and Miss Clarke is going to live on it! 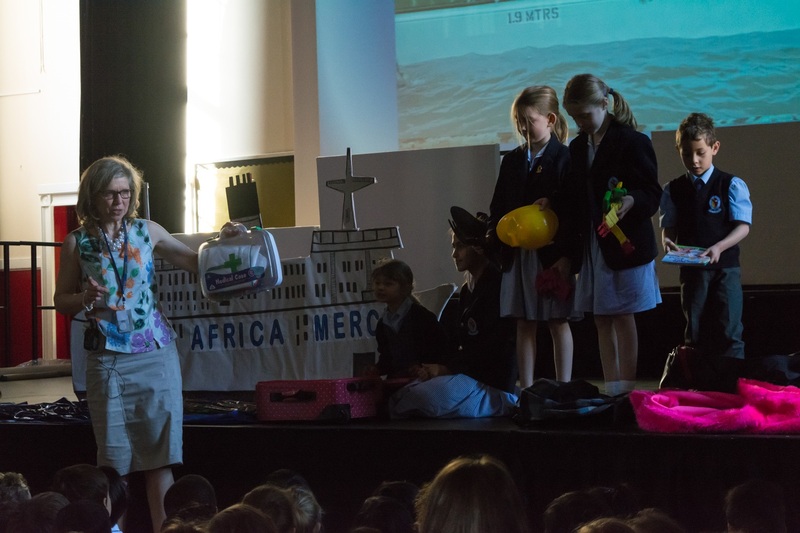 This morning we all gathered in the school hall to find out what her new home will be like and what she will be doing aboard ship. 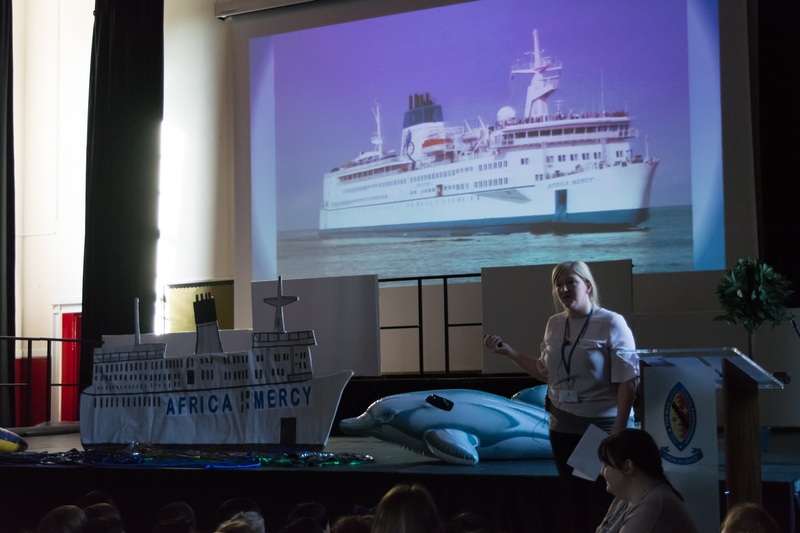 There are around 500 people living and working on the Africa Mercy including surgeons, dentists , nurses, physiotherapists, engineers, cooks and of course teachers. Many have families and so Miss Clarke is joining the team of teachers who run the ship’s school. Click here to visit the Africa Mercy website. Thousands of people will receive life-changing surgery when the ship docks in the Cameroon for 6 months. Miss Clarke will also take part in farming, building, water and educational projects in local communities. We are so sad to see her go but very excited for her as she sets out on such an amazing adventure. Bake cakes for our Cake Sale on Friday 12 May and buy cakes from 3.15pm in the Board Room. Please take your donated cakes to the Board Room from 8.30am onwards. Miss Clarke will not be receiving a salary during her 2 years aboard the ship. If you would like to support her financially, there is the opportunity to give a gift or a regular donation to help cover her costs.